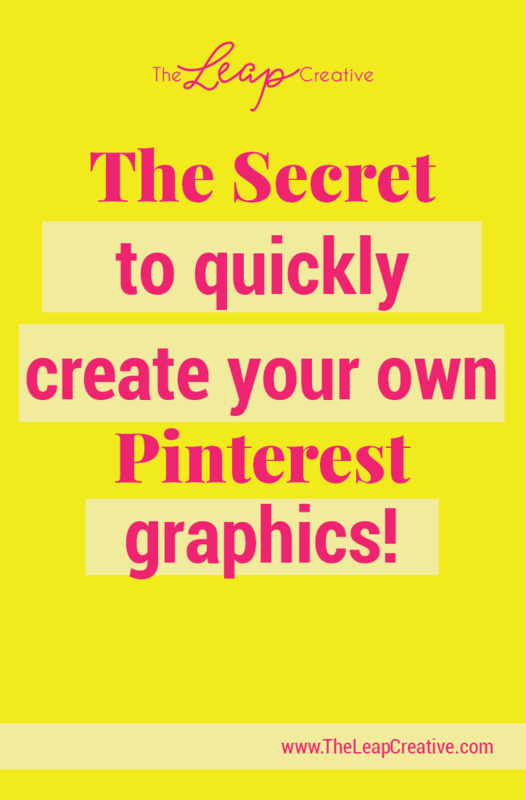 The secret to Create your own Pinterest Graphics ~ Quickly! Don't you hate it when you're on a roll getting your blog post created, edited, and ready to post when you realize - oh no! 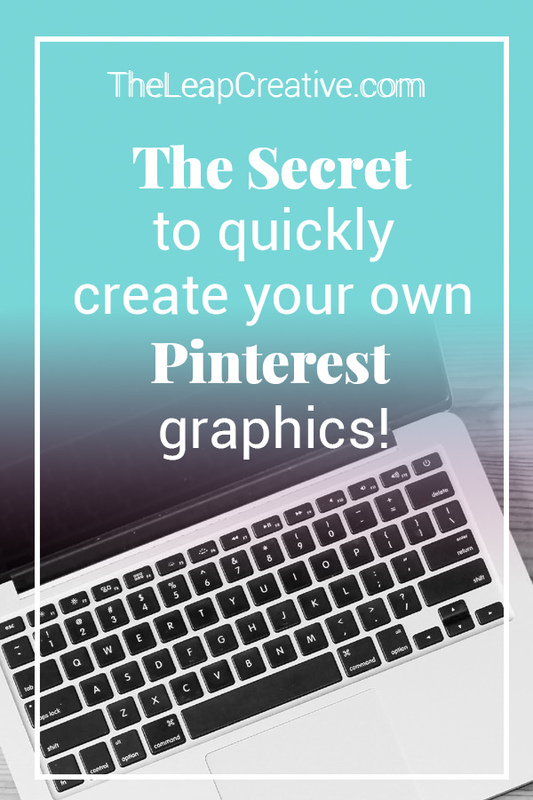 You don't have a graphic ready for Pinterest designed and uploaded yet! It's stressful, it doesn't give you a great, branded end result, and half the time you see your pins online and realize - NO! It's went viral with a typo!!!!!!! There is a better way, people! Today I'm showing you how. 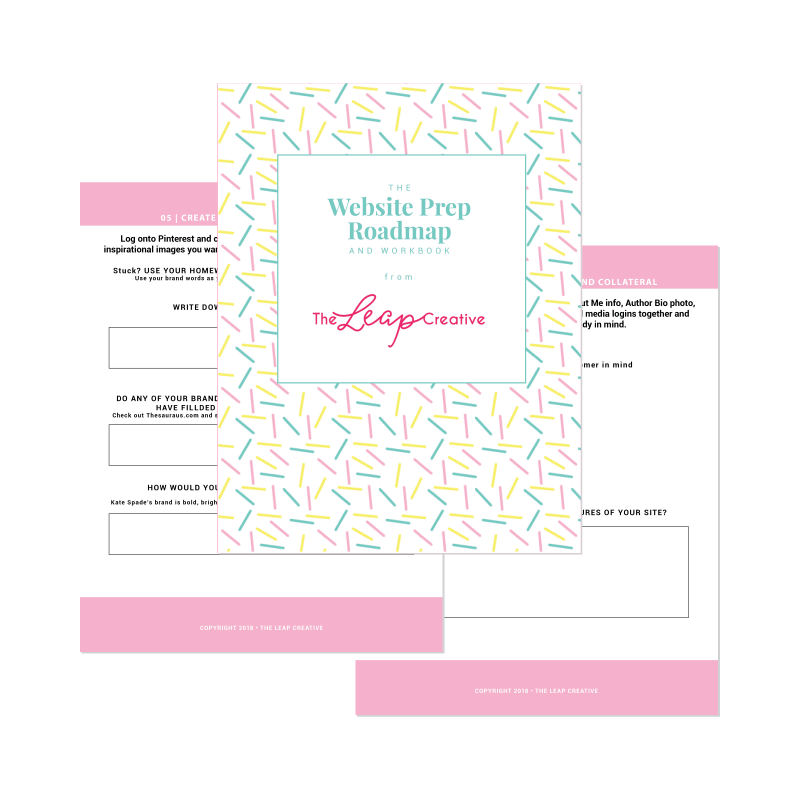 Always use branded templates for your blog graphics!! Yes I'm serious. Use templates! It will take a little leg work in the front end but ultimately it will save you so much time and stress. Why should you care about using Pinterest graphic templates? You don’t have to google the optimized Pinterest image size every time you go to create a new blog post graphic. (Psst- it’a 600px wide by at least 1000px tall). You don’t have to stretch your creative muscles every time you go to post a blog to make an on-brand design that looks like your website but isn’t overused/tired/boring. You won’t have to worry about forgetting to optimize your blog post graphic with your branding, it’s already been done for you ahead of time. You just update the content to your current information and off you go! Depending on your skill level and price range there are a number of great options. Us an online graphic design app like Canva - they have free and advanced options but I have found that I can get everything I want done with the free plan. 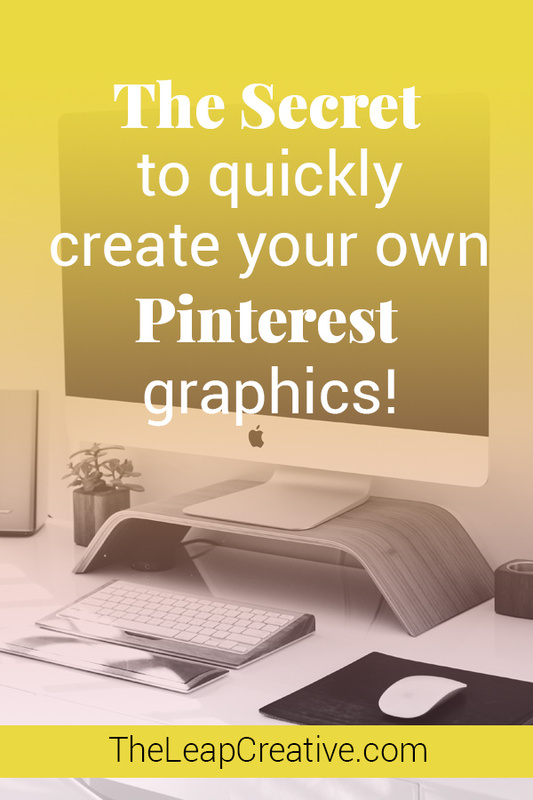 They have tons of free templates to get you started and they have presets for Pinterest graphics!!!!! You don't even have to wonder if your graphic will be the correct size, they have you covered from the start. If you haven't tried it, seriously, take Canva for a test drive. Canva is easily my favorite free graphic design tool - and it's super easy to use! It’s an incredible online graphic design tool that allows novice and experienced designers cut their graphic creation time down. Pick your favorite: Adobe Photoshop or Illustrator and then sign up for the free trial. Adobe is the industry leader for a reason - they have been working to make their programs better for their user for decades by paying attention to how we actually use them. When I started designing cutting out a background was a painstaking task that nobody wanted to do (which meant it usually looked sloppy!) now background removal is a few clicks and the finished product looks amazing. Are you tech savvy even a tiny bit? Then take photoshop for a test drive! With a small monthly fee you can gain access to a single program or their entire suite. You can also throw a little money at the problem and buy a pre-made social media graphics pack online. There are tons of awesome resources from Creative Market, Etsy and beyond. Your only limitations are your budget and your taste. Got a little more money or want a truly unique graphic pack? 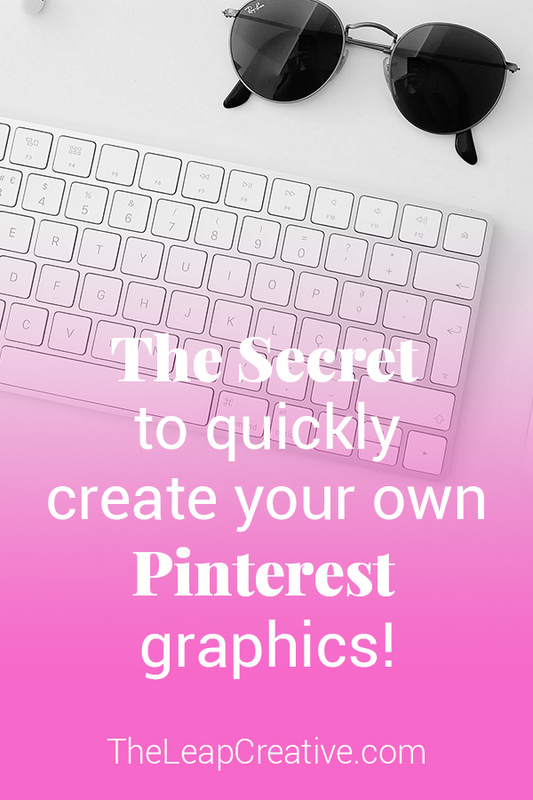 You're gonna want to hire a pro - they're easy to find online and they will take all of the stress and worry out of creating Pinterest graphics that will convert. A good designer will set you up with lots of options for you to switch in and out with your templates and they will be sure to teach you how to use them. Okay, so what makes a great template? You've picked your route, either DIY or pay a pro, so how do you know what makes a template work really well? Remember, this is 600px wide (the width of all images in your Pinterest feed) by at least 1000px long. Vertical pins do better on Pinterest because of the nature of the long scrolling feed. As you are scrolling you see more of long pins and you see them for more time. Don't waste your pin by letting it be tiny. It's important that your pins have a similar feel and look, but you don't want your pin to look exactly the same as every other pin from your blog. People won't catch that they are offering different information from the previous post and you will have lost all that great targeted traffic! Having multiple options with the same look and feel will help give your blog a strong visual brand but also allow you some creative variety to work with. It's important to include your website's URL and branding so that users will know your work by sight. As you build your reputation as the go-to resource in your niche, your name and brand will help people know your work is work clicking on. Legible. Legible. Your fonts have to be legible. If someone can't tell from your pin what you are offering, how on earth would they care to actually click? Remember, your pin is swimming in a feed of lots of other images so if you can't get your point across quickly from that image, you won't get anywhere. Use fonts that are easy to read from a distance. Don't use too many fonts. Stay away from fonts with too much going on - no web-dings or pictorial fonts. Nobody is going to spend the extra effort to read an illegible headline. Don't try to be too cute with your fonts - it may be really fun for you to look when you already know what it says, but think about your poor readers - help them out with a legible font!! It doesn't have to be boring, but make sure your message gets across. A template will be pretty useless if it is just a static image without any editable text or graphics (I've seen it!!!! How on earth someone has the nerve to call that a "template" is beyond me!). You need to be able to update it easily and quickly or, let's be honest, you won't ever use it. Good templates are about streamlining your process not making it more difficult by adding more work. Also a must. If you don't know how to use your template or how to export your updated images every time, are you gonna use it? No. Your template has to be simple to export at the precisely correct size for web and Pinterest. Do some quick research on Pinterest - what images pop out to you? What about them makes them effective to you? Pay just as close attention to pins you find that turn you off design-wise. What is embarrassing about their presentation? After you've answered these questions it's time to decide what your budget is and where your business is at. Check out Canva. They have kickass tutorials for their platform like their tips and tricks tutorial, or their tutorial for how to design for social media graphics and their in-depth tutorial showing you how to tweak designs to work for your business . They even cover 12 common image formatting mistakes to avoid and how to fix them. Hiring a graphic designer or buying premade professional templates is the way to go! Check out online graphic design collectives like Creative Market or Etsy or for those that are really serious about having unique branding for their blog - find your graphic design pro online!